Alright... 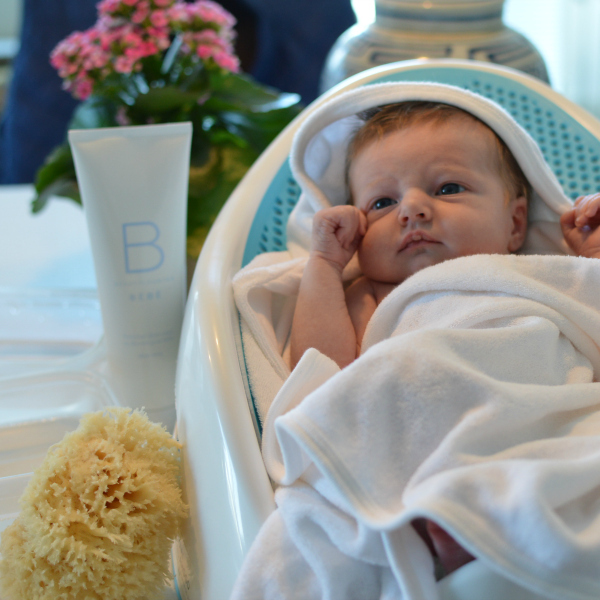 I'm in mommy blogger mode and the topic is bathtime. In general with baby stuff I try not to go overboard with products and get what we need plus whatever will make life easier. Here are the products she's used over the past 18 (wow!) months. 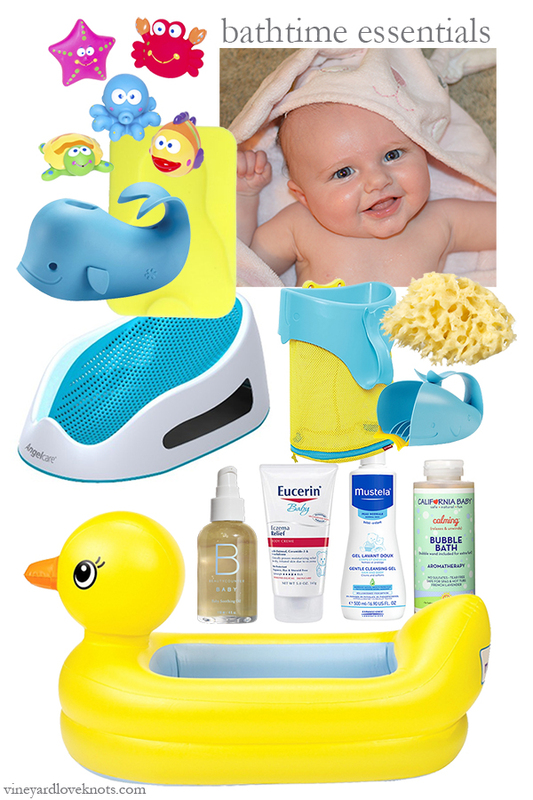 To start, I had the Angelcare Bath Support on my kitchen counter for sponge baths. After a couple weeks I transitioned this into the big tub and used the Summer Infant Comfy Bath Sponge from Amazon on top, a $7 rec from Smidge of This, until she was about 3 months. I also used the sponge directly in the sink when we traveled. 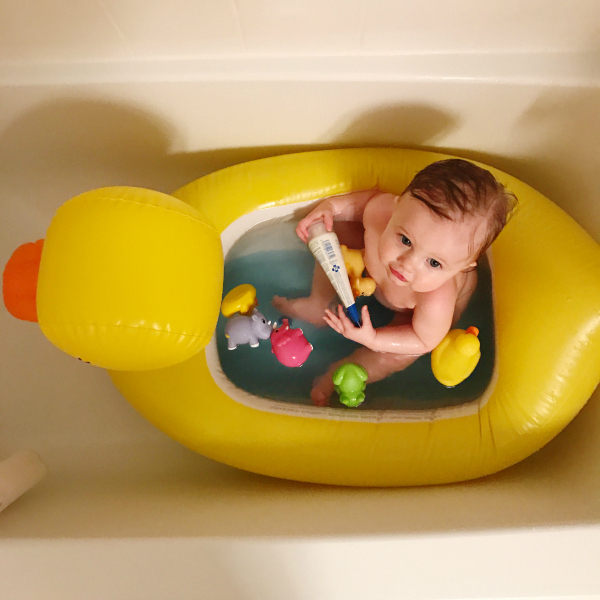 At around 5-6 months we ditched the Angelcare support and went right into the tub. At this point I wish I had bought the Munchkin Inflatable Duck Tub. I really didn't want to get another thing... and to be honest I don't even remember what made me break down and order it. Anyway, it is great because you don't have to wait to fill up the entire bathtub and it's easy to travel with. Eventually she started climbing out of it but it was good while it lasted. For toys, I've always loved the Elegant Baby Squirties. We have gone through a couple sets because they do start to grow mold inside (gross, I know) so I have replaced. We also have some foam stickers and other toys that I have picked up at Home Goods. Now we're getting into the "do I really need this" territory. Cute towels are a registry must, and you're bound to get one as a gift anyway. The Pottery Barn towels are adorable and make for great pictures, ha! Now we just use a regular large plush towel, but I miss when she was tiny in her little bunny towel. Moving on...I was nervous that Lexi would hit her head on the metal spout so started with the Skip Hop Moby Spout Cover. This lead to getting the matching Toy Organizer ... because once we didn't use the support and duck tub there was no where to put everything. Finally, yes you can use a cup to rinse but I caved and got this and it does make it easier with the curved lip. The first products I used for Lexi were from Beautycounter because I knew I could trust that there were no unwanted ingredients. Without a doubt, my favorite was the Baby Soothing Oil and I used this on Lexi for the first couple months after every bath. Since she had eczema, our doctor suggested Eucerin Baby Eczema Relief instead. I tried a few other brands but ended up coming back to this one because I actually see a difference with regular use as opposed to some of the natural ones. The Mustela Gentle Cleansing Gel is a 2-1 and it seems like a bottle lasts forever. 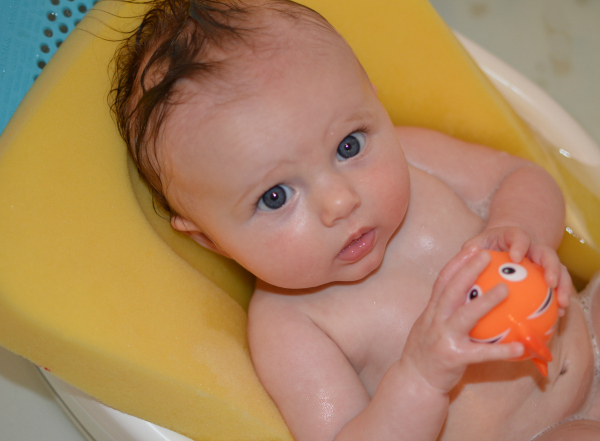 A little goes a long way and I continue to use the Baby Buddy's Natural Bath Sponge (replace as needed). 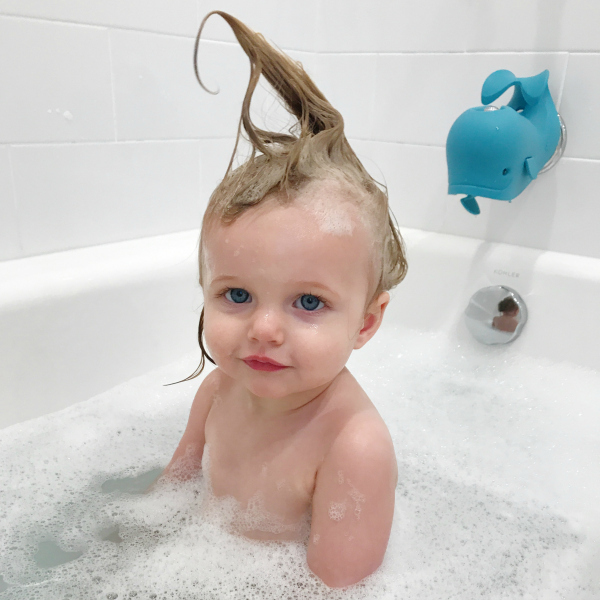 Finally, the California Baby Calming Bubble Bath has been my favorite natural brand we've tried to date. I love the lavender scent. I can thank my friends that are expecting for finally inspiring me to get this post up. There has been a lot of registry talk lately. I know it's overwhelming with all of the products out there but hopefully this helps narrow some of it down. Finding a bath was WAY harder than it should've been! I've heard great things about he angel care support too. We went with the collapsible boon tub and would give it an A-. We probably got a good 6/7 months out of it, but it's pricey.